The evergrowing construction industry is one of the largest consumers of natural resources. The increasing demand for the infrastructure, leads to the usage of raw materials like aggregates, is at its peak. Due to which the natural nonrenewable resources, which are being used for producing these materials, are starting to get extinct as these resources have been continuously and tremendously used. Depletion of these natural resources is a matter which needs sincere attention. To counteract this problem, one of the possible solutions is to use recycled aggregates as the substitute for the natural aggregates. The only barrier in using recycled aggregate is that the strength of recycled concrete aggregates is less than that of virgin aggregates because of the adhered mortar present on the recycled concrete aggregates. This reduction of the strength of recycled concrete aggregates depends on the amount of adhered mortar present on the aggregates. The possible solutions to improve the quality of recycled concrete aggregates are by strengthening the adhered mortar and the other by removing the adhered mortar also known as “beneficiation”. Both these ways include a number of methods, which are used to improve the quality of recycled concrete aggregates either by strengthening or by removing adhered mortar. 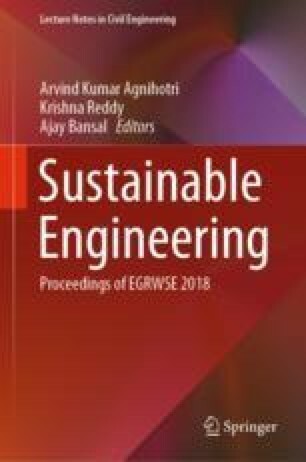 This paper reviews the methods to improve the quality of recycled concrete aggregates and also points out the improvement done by each method.